Monsters and Manuals: 310 Pages of Possibly Incomprehensible Gibberish? 310 Pages of Possibly Incomprehensible Gibberish? Long ago (in 2009) a young British man living in Kawasaki began doodling some pictures of slug-men in an idle moment. This dovetailed with a D&D campaign world he'd been running off and on in various forms for a few years, called provisionally The Mountains of the Moon, whose concept was in essence "Fantasy Tibet by somebody who has never been to Tibet and knows nothing about it, but likes the idea of yak-folk and self-mummifying monks". The result eventually grew into something weird and terrible called Yoon-Suin. Over the following five years the British man made various rash and rather pathetic promises to release it as a campaign setting - each promise being less convincing and trustworthy than the last. During this time the idea morphed from a hexcrawl into something else entirely: a kind of toolkit of random tables, hex locations, bestiaries and rumours that, in the right hands, may come to resemble a living, breathing Frankenstein's Monster of a campaign setting - a Frankenstein's Monster with yak horns, leaving a trail of slime wherever it goes. Looking at the final product (because yes, it does exist, and yes, it'll be available very shortly) the British man feels at turns proud and concerned. Proud because a heck of a lot of effort, willpower, creativity and yes, let's use a dirty four-letter word, love went into its production. Concern because the British man suspects that the neutral reader - i.e. everybody else - may very well view the thing as 310 pages of useless, blithering nonsense spewed from a rather unhinged mind. (And not in the good, creative way; unhinged in the sense of being mad enough to think anybody would be able to make sense of this crap.) The prevailing view may be, rather than "Wow!" or even "Hmm! ", something closer to "Huh?" or even "Jesus wept". But in any event, it's done now, and despite all the broken promises, the fundamental promise (that one day there would be this thing called 'Yoon-Suin' that people could get their hands on) has been honoured. That, the British man feels, is probably the main thing. Suffice to say, Yoon-Suin is finished. I'm letting a few friends/comrades take a glance at it first, to see if they can salvage something understandable from it. But yes, in any case, finished. If you've ever thought to yourself "I want to be a slug-man with a crab-man slave", then don't worry: soon it will happen. Perhaps sooner than you think. So, not about the tax code? This is exciting news! 310 pages is a lot. Are you thinking print or PDF? PDF at first. Print as a thing to think about for the future. As long as it is written in complete sentences, and does not require keeping a dictionary and Roget's thesaurus handy it will exceed the standards set by Gary and Dave in their original efforts. I am sure I will be able to find something to riff off of for my game regardless. If your not sure of its value publish it pay-what-you-want, Just don't try and sit on it until you perfect it, or your niece will inherent the manuscript in the estate and pitch it in the dumpster. Haha, that is my basic sentiment. 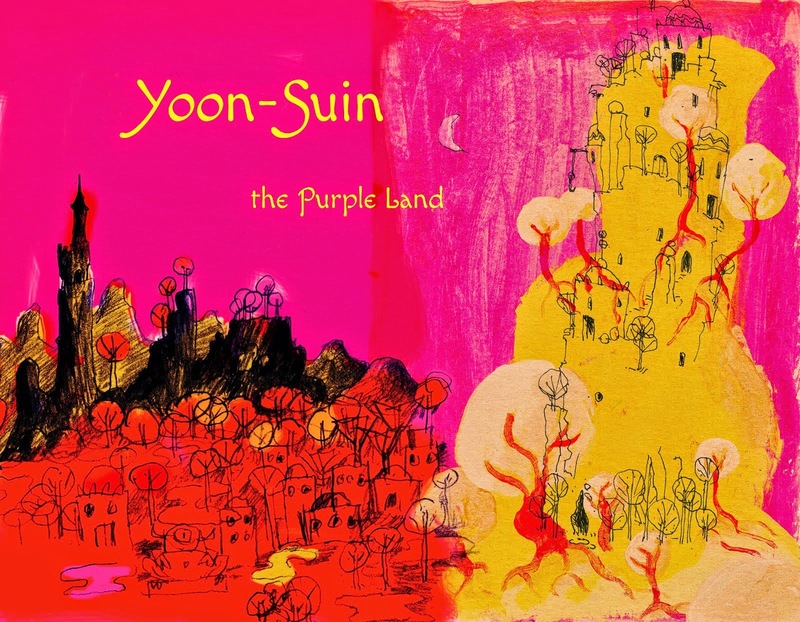 You've just given me an idea for what comes next: Yoon-Suin in the year 40,000 AD. This sounds excellent. I just happen to have a degree in Gibberish, with a minor in Yak-lore. Right up my alley. In all seriousness, this book is probably wholly useless to unimaginative DMs that are used to overpaying for fancy bound books that carefully outline every last detail of how to use its contents. For the rest of us creative folk, things like this are a veritable cornucopia of adventure seeds, new settings, and fun times. I really wish more people would take their weird and wild and throw it out to the masses. I think you'll find that Yoon-Suin has greater legs than you imagine. I'm confused, are unimaginative DMs overpaying because the books they buy are "fancy bound." Do creative people like fancy binding less? Surely unimaginative DMs aren't overpaying for a book that carefully outlines its contents. They're unimaginative, so they wouldn't be able to use it any other way. Thanks for the kind words, Artifice. Have you had anyone look it over as an...um..."editor-type?" I realize that at this point you just want to put it out there without delay, but perhaps a neutral pair of eyes can give you a better idea of whether it really is "gibberish" and perhaps provide some ideas on how to better "cut it" to make it more digestible. Yep, being done as we speak! This is partly because I like physical books, but also want/need it for my tabletop group Right Now. 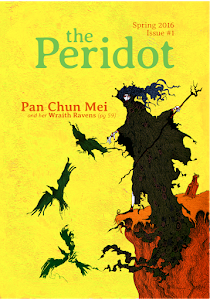 Played this setting last night using the LotFP ruleset, and it was awesome! I play Kesht, a slug-man magician, curator of the arcane in the Great Library, who aims to build a den of opium-soaked hedonism for the Yellow City literati. I, too, am interested in the possibility of a discount on PDF + Print bundle. Any chance?